As 2017 draws to a close, I look back at the food journey and I realise that this year has been fantastic. From new restaurants in Chennai to hot chocolate that blew my brains out, the year has been more than just special. This was also the year, I was honoured and humbled to have represented India in Foodie Madness Worldwide and defended the biriyani as the world's best local dish. Equally awesome was being one of the 6 global ambassadors of food. I went through my photos and I though I should revisit the best dishes this year, so here goes. 10. 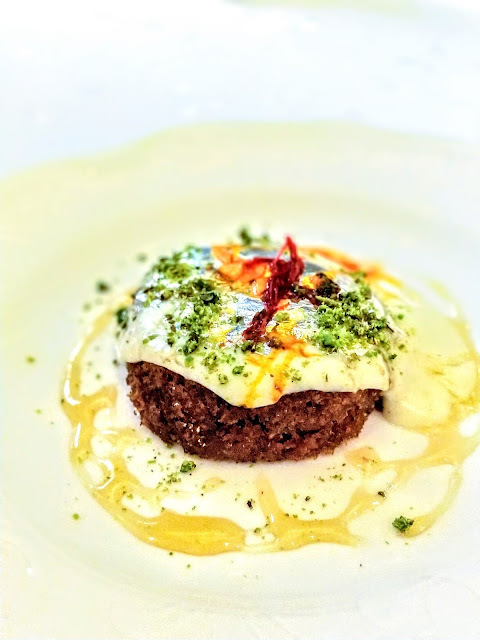 Jelebi Caviar, Masala Library by Jigs Kalra, Delhi. 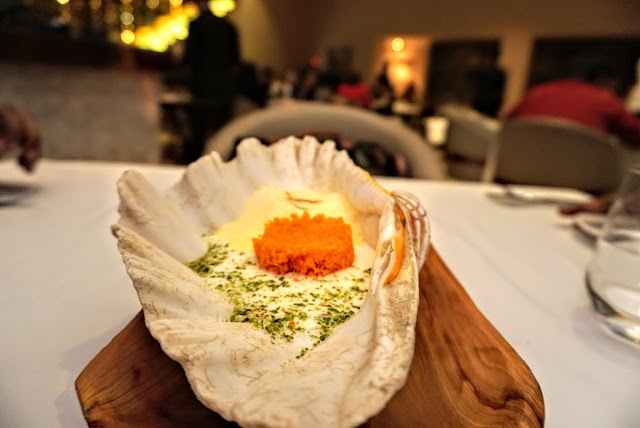 Jelebi shaped like caviar with rabdi served in a shell, this dessert captures the classic street side jelebi-rabdi in a modern avatar without diluting any of the flavours. Plated pleasing to the eye, the waiter would mix the whole thing up after your eyes have feasted on the dish and get it ready for your taste buds. This is probably the simplest of dishes in this list. Nothing aged, no fancy chefs, just tradition kept together. On the highways of Sri Lanka if you spot tiny shops from which earthen pots hang, simply stop the car. 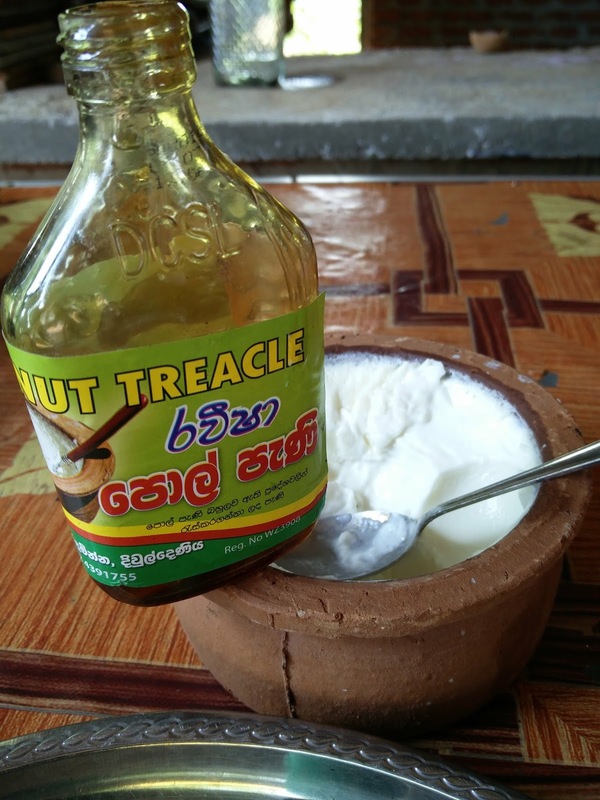 Buffalo milk curd with a coconut treacle, they call this wonder the Kri Pani. They also call the treacle, honey, but it is far from it. These are simple pleasures of life. The Park's collaborated festivals are getting better year on year, so much so that I've started to look forward to any festival they host. 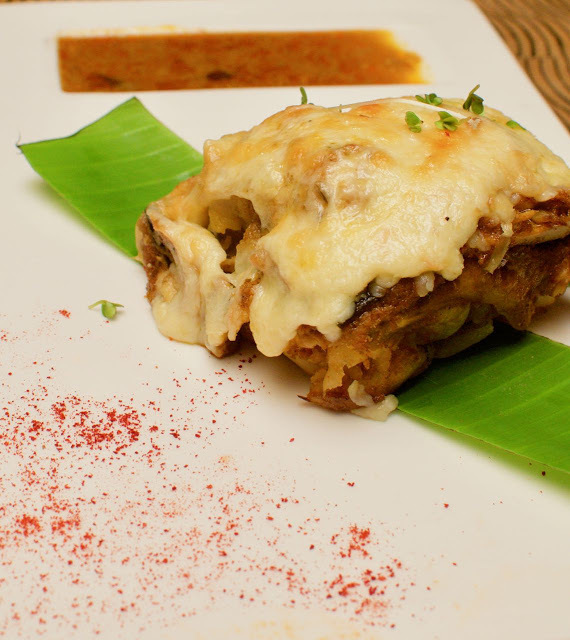 While two festivals this year were fabulous, the collaboration with Big Bandha by Manoj Padmanabhan gave me a chance to revisit the BBQ Parotta. Crafted carefully, the dish recreates the parota that is made on stones in the streets of temple and mosque towns of South India. 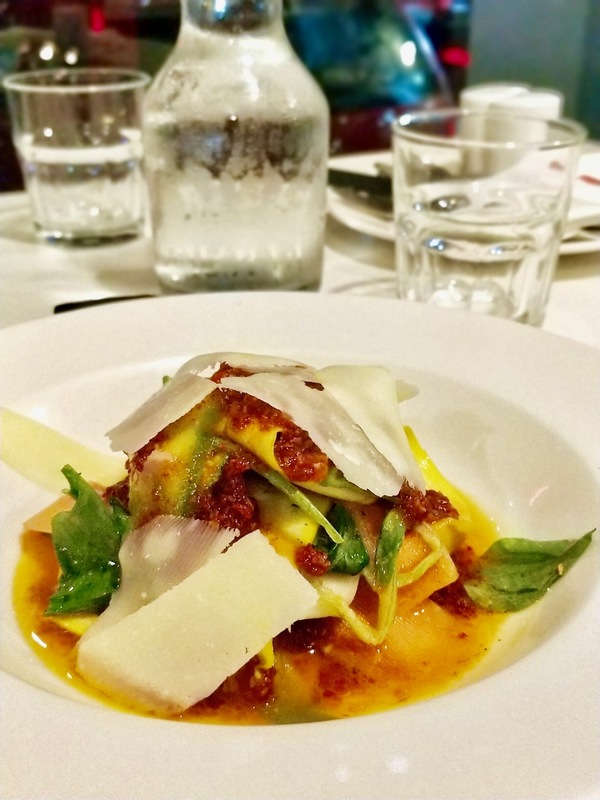 Those stones have a distinct flavour that this dish beautifully captures. Balsamic is so common, but one that has been aged for 30 years? Surely not so common. At EUR 180 for 250 ml, super pricy too. But one tiny store in Rome near the Cipro Metro allows you to pair their cheese with balsamic. 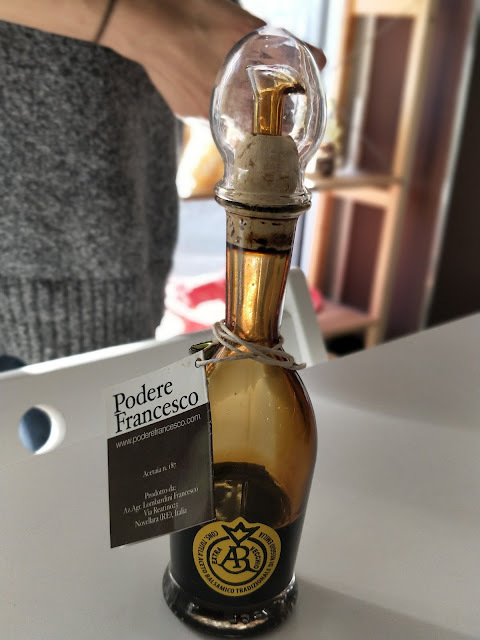 It is amazing how a tiny bite of cheese topped with a few drops of this balsamic can explode in your mouth. While this is not from a restaurant, this definitely stands out as one of the best dishes of 2017. 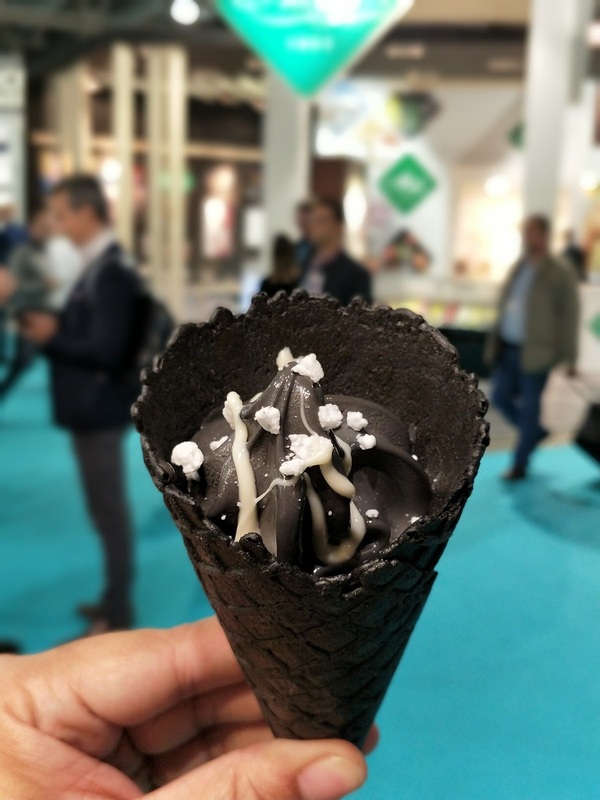 Charcoal ice cream, black cone with white chocolate and sugar crystals, this ice cream was a challenge to the tastebuds. Mild in flavour and encouraging the brain to identify and enjoy the charcoal, the cone adds all the crisp and the toppings add the balance. 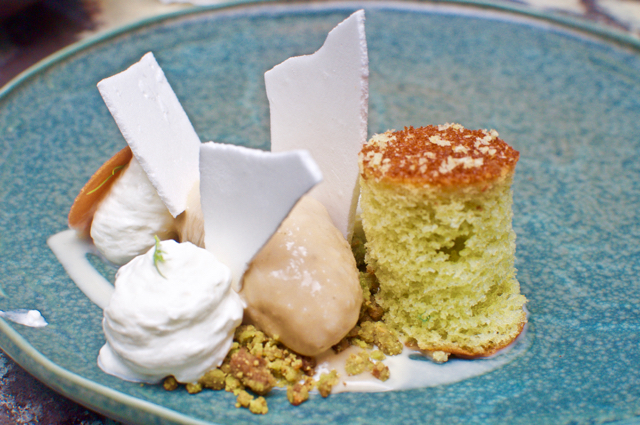 Plated desserts are cool, but few have a wide range of textures in a single dish. Of course, when you are Janice Wong, Asia's best pastry chef, twice in a row, that shouldn't be too difficult. A sponge, a mousse, a custard and crisps, this dessert is everything a dessert can be. Having it at 12 midnight in Singapore only made it better. While some dishes push the limits of chefs, some push your limits as a diner. Though a global delicacy, I've never fancied the oyster. Until Chef Vikramjit Roy decided I need to like it. 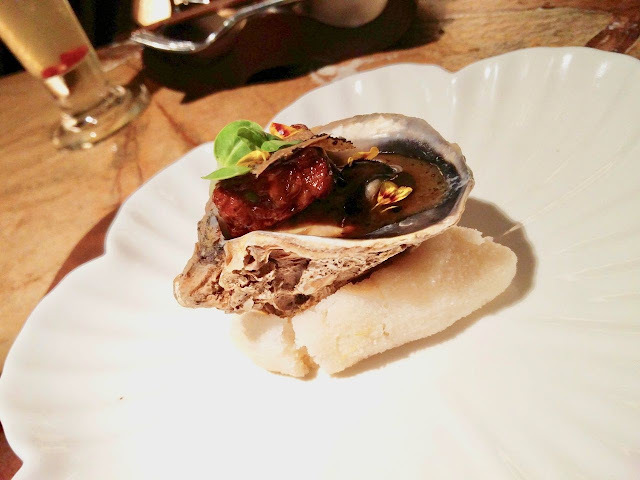 Served in its shell that you can literally 'drink' this dish from, the oyster with shaved truffle as part of his 13 course chef's meal, showed me glimpses of heaven. From having flavour of both the sea and the earth, this dish pushed me as a diner into enjoying an ingredient that I've detested thus far. While vegetarian versions of classic meat dishes almost always fall flat, simply because the creators don't pay enough attention to the re-creation as much as they do to replacing ingredients, the raw lasagna salad at Sandy's is a stark revelation. Spend more time to understand a dish and you can create a vegetarian equivalent that can almost surpass the original. Everything from the texture to the flavour essences are intact in this variation. 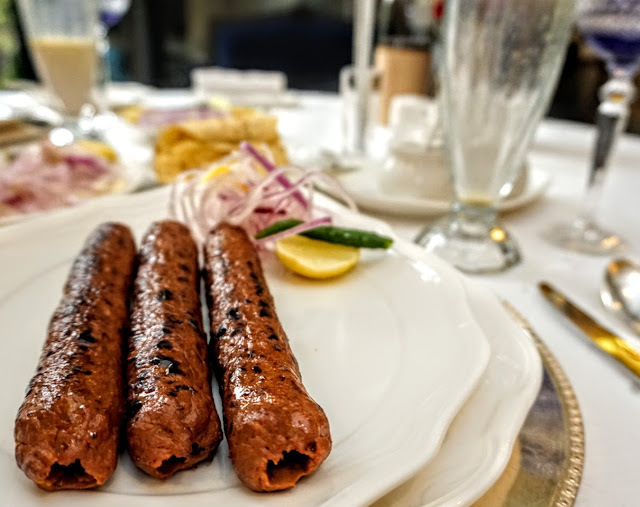 This slow cooked beauty at Dum Pukht is a Royal dish that almost has no equivalent. A sausage-ish looking dish, the firm texture on the outside skilfully disguises a succulent dish that melts in your mouth like ice would melt on fire. The Saffron Bread that it is served with does a great job in keeping the flavours in your mouth long enough to relish it. This is the hot chocolate that has scarred me for life. I am unable to enjoy hot chocolate anywhere after this. 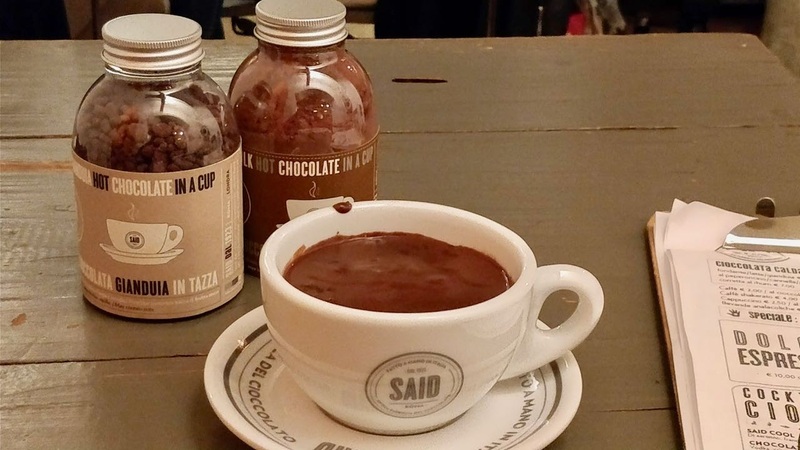 Almost like liquid gold, this hot chocolate in Rome will blow your mind. But two dishes in a restaurant to blow the ONE brain that you have? Yes, the Moka Said, with three types of chocolate flowing out from the cup to create the freshest Cafe Mocha you can have, SAID in Rome was my choice for the only thing to do in Rome, if you had just one hour there. Yes, ahead of the Colosseum. That is my list of the best dishes of 2017. I will come up with my best meals of 2017 as well, in part 2 of the best of 2017.